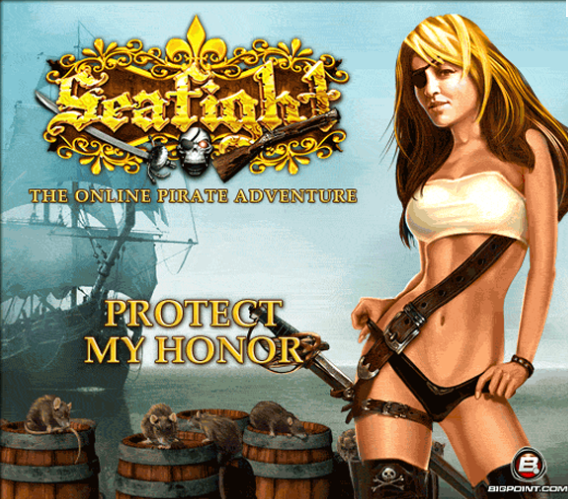 If it is the high seas and pirates warfare that turns you on then Seafight by Bigpoint Games could be the game of choice for you. 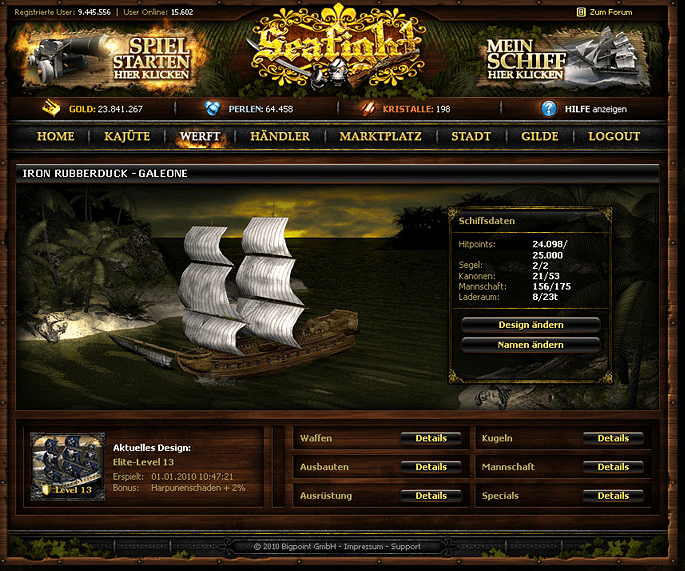 Released back in 2006 this free to play pirate browser game is still going strong and in fact as of last year has more than 44 million users registered. 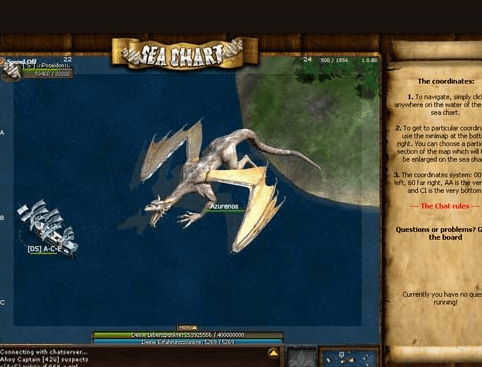 The MMORPG game sees players take command of pirate ships on the high seas. 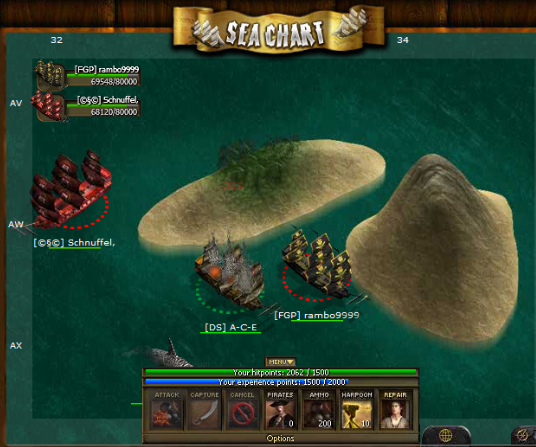 These ships can be used to complete quests, can be upgraded and can be used to take on other players in PvP battles. 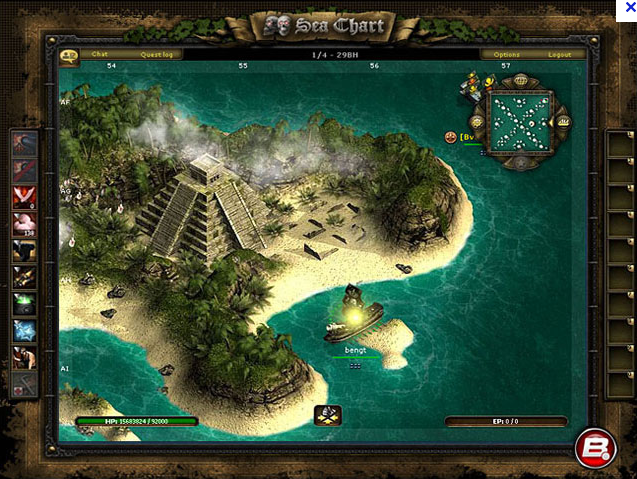 The game has a massive player base with as many as 25,000 players playing the game on a daily basis. 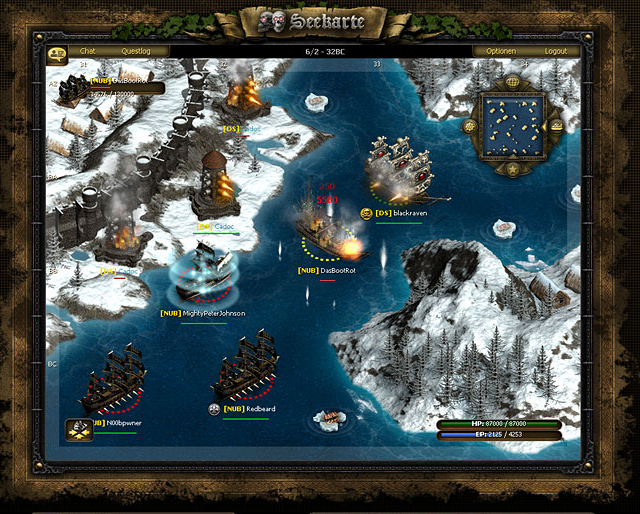 Whilst the player base is huge, the actual game is very simple both in game play and graphics. This simplicity does not seem to deter the diehard fans of this genre but to others it may seem a little boring. This is due to the game being very slow paced apart from those that pay for the premium account. 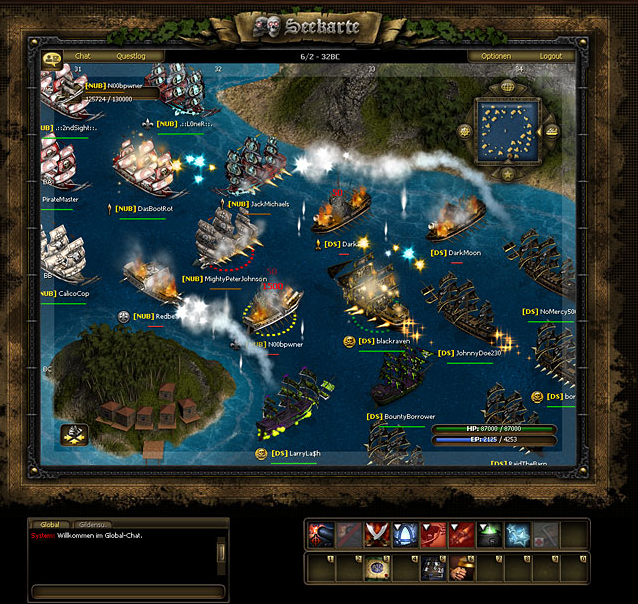 Because the game play is all done through a browser there is not too much in the form of character customization, however there are plenty of ships and weapons that can be bought with the gold that you acquire throughout the game. 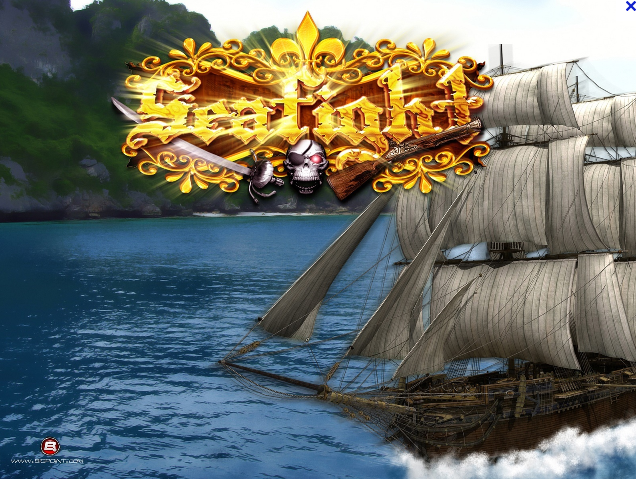 This gold can be had from completing quests, tackling massive sea monsters or hunting down hordes of pirates. Whilst gold is a currency in the game it is not the ‘main’ currency. Pearls are what can get you the very best equipment but as you may have guessed, these are practically impossible to find in the game and need to be bought with real money. The very best ships in the game as well as the best guns can only be acquired with pearls, which is the carrot to get people to invest some money into the game. Whilst the game is aimed at giving those who want to pay the biggest advantages, they do offer a free trial premium account for two weeks. Whether this is out of generosity or in the hope that these players will then want to stay as a premium user is up to you to decide. The big draw to this game is the open PvP, which means that anyone can be attacked at any point in real time. This means that if you are playing alone you are going to struggle especially as it costs a lot to have your ship repaired. This pushes you to join a clan as soon as possible in order to have a bit more survivability on the maps. 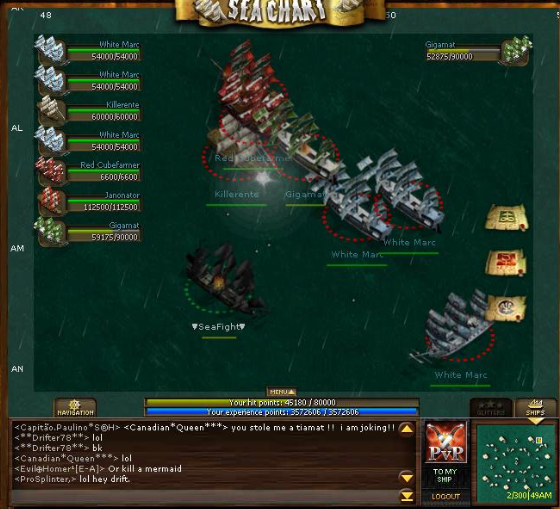 So really this is the sort of game for somebody that likes to be a part of clans and alliances rather than those that like to play alone. Another of the draws is the monthly jackpot that takes place. 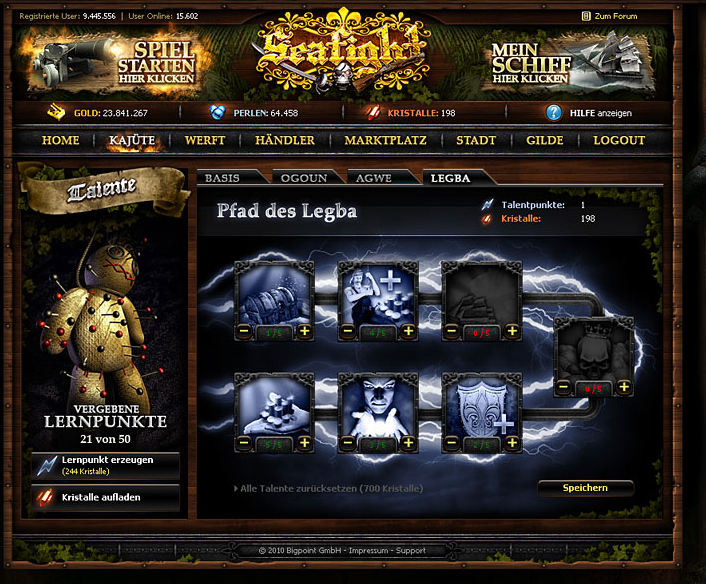 Throughout the month the players try to collect as many jackpot points as possible so that they are eligible to fight in a winner takes all battle. The last player standing can win as much as $10,000 in real money. More than 44 million users registered can't be wrong! Old Game but if you haven't tried it yet, do so now!